When healthcare works, it’s the result of collaboration. From hospital networks to health authorities, patients, payers and more, we all share a common goal: improving outcomes. What we’re not always aligned on is how to get there. But increasingly, as a result of new partnerships, that’s changing. As a physician, I’ve had the opportunity to engage in nearly every domain of healthcare over the past 35 years—from clinical practice, to public health policy, to academic research, to private industry. Today, I’m encouraged to see more and more blending of expertise across these traditionally siloed areas. According to the American Hospital Association, for instance, seven in 10 hospitals and health systems will increase collaboration with other providers and payers on population health by 2023. Because clinical studies are at the forefront of scientific discovery, I believe research can play a pivotal role in both improving patient outcomes and sparking greater collaboration in healthcare. So does Project Baseline. 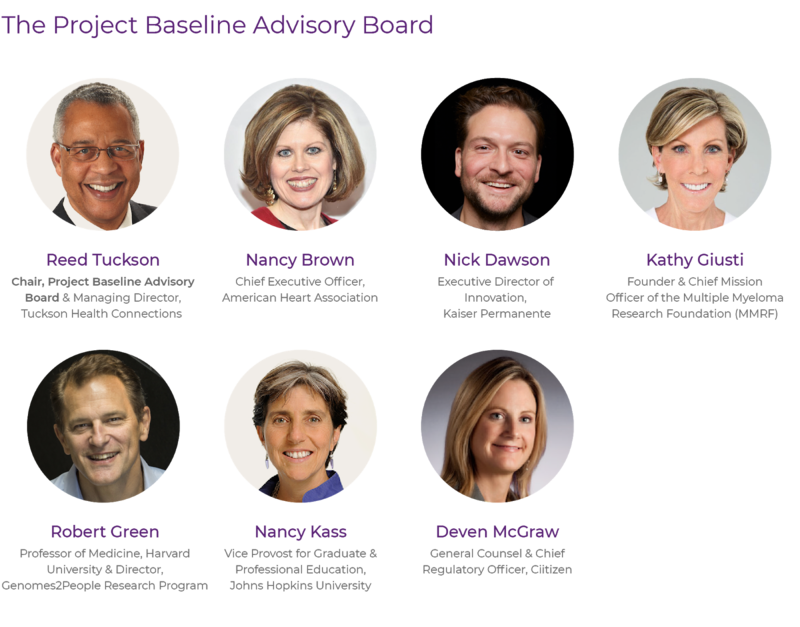 Recently, Project Baseline convened an Advisory Board representing the healthcare spectrum, from patient advocates and ethicists to leaders in science, public health, and research. This Board came together for the first time last month to discuss how we close the gap between clinical research and clinical care, strategies for making healthcare data useful, and our obligations to participants and patients who engage in research. Our goal is to create an ongoing forum for sharing insights and ensuring Project Baseline stays focused on people. Here are some of the core takeaways from the discussion. Up-to-date information and clinician-focused resources on clinical studies can be difficult to find. As a Board, we discussed how researchers may be able to create a feedback loop to keep clinicians informed of the latest scientific innovations. From wearables to electronic health records and beyond, patient data is growing at a staggering pace. But as we increase our ability to capture more and more information, do we have a strategy for making it useful? Within Project Baseline, we are working to collect and organize many types of health data, from biometric data, to genomic data, to clinical data like medical images. By marrying different data sources, our hope is to break through silos to understand health in new ways. Patients are more engaged than ever in their own health. Within the United States alone, hundreds of patient advocacy groups have emerged as critical resources, especially within the rare disease community. We have a responsibility to approach participants and patients as true partners. Reed V. Tuckson, MD, FACP is the managing director of Tuckson Health Connections, LLC, a health and medical care consulting business. Previously, he served as executive vice president and chief of medical affairs for UnitedHealth Group; senior vice president for professional standards of the American Medical Association; president of the Charles R. Drew University of Medicine and Science; senior vice president of the March of Dimes Birth Defects Foundation; and commissioner of Public Health for the District of Columbia. Dr. Tuckson is active on numerous public and private boards that encompass biotechnology, data and analytics, clinical research, hospital and ambulatory-based care delivery, and health policy. Dr. Tuckson has been identified several times by Modern Healthcare magazine as one of the “50 Most Powerful Physician Executives” in healthcare, and is active with the National Institutes of Health and the National Academies of Medicine. Dr. Nor Chiao came across a New York Times story on the Project Baseline Health Study while stuck in standstill LA traffic. She was familiar with clinical studies as a former researcher at MD Anderson Cancer Center—but this was different from any other research program she’d encountered. A four-year observational study, the Health Study was a long-term initiative to map human health by collecting deep medical data. Still sitting in gridlock, Nor finished the story and immediately pulled up the Health Study application on her phone. Nor was fascinated with science from a young age and highly driven to succeed, immigrating from Taiwan to Southern California at 8 years old. 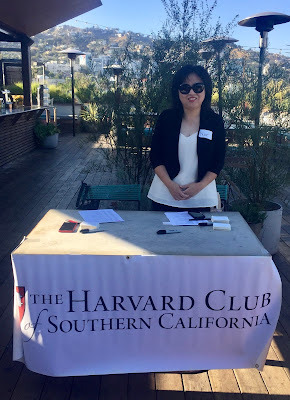 By high school, she had been selected to attend a summer biomedical research program for students sponsored by the City of Hope cancer genetics center. Dr. Anthony Fauci, director of the National Institute of Allergy and Infectious Diseases, delivered a lecture to Nor’s program on the transformation of genetic research. “Because of my early exposure to the breakthrough of gene sequencing—and all the innovation that followed—I wanted to be part of this movement to advance human health,” said Nor. 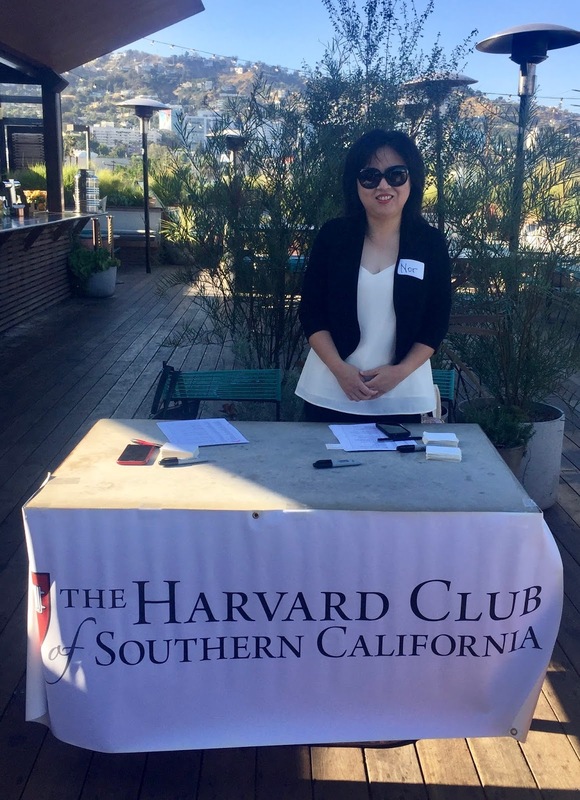 Her ambitions led her to Johns Hopkins’ pre-medical program, where she earned internships at the National Cancer Institute and Howard Hughes Biomedical Institute. She would continue her studies at Harvard Medical School and MD Anderson. As a physician, Nor has seen the impact of preventative care and early detection of disease firsthand. She hopes her health data will contribute to a more precise delineation of health and the transition to disease. Clinical research is key to my family's heart health story. At some point in my childhood, I lost count of the number of research trials I consented for. As a chronic heart disease patient with an exceptionally rare confluence of a double genetic mutation, I am a prime candidate for many studies launched at my primary care center. I have a folder nearly as thick as my medical record containing copies of all of the consent forms I have signed over the years. I understand my value to these studies. Not only am I a rare genetic presentation of a common heart disease, but I also “am rare” to still be alive. I was born in a small town just outside of San Francisco, in the days before the dot com boom. Both Bay Area natives, my parents were (and still are) incredibly active. My father went all-American in football during his college years and my mother, sister, and I danced at the same studio. My family firmly believes that a healthy mind is cultivated alongside healthy movement, so my sister and I played sports year round. It was, therefore, completely shocking to us when — at age 13 — I experienced my first cardiac arrest while running on a treadmill. I shortly thereafter was diagnosed with hypertrophic cardiomyopathy, a surprisingly common and serious heart disease which can lead to episodes of cardiac arrest and sudden death. HCM affects the left ventricle of the heart and there currently aren’t any cures. Without proper screening or family history, this disease is often diagnosed too late. While my diagnosis was shocking to us all, the biggest surprise was that I was likely not alone. HCM is an autosomal dominant mutation, which means that the genetic variance is passed down from generation to generation. However, many people diagnosed with HCM do not have any genetic markers as all (that we can yet identify with today’s knowledge). My family was one of the first at our hospital to be tested, as part of a research study, for the presence of HCM in our genes. To our surprise, the results showed that each of my parents carried an identifiable, unique mutation on the same gene for the exact same disease. While my sister managed to avoid either mutation, I received both. The research was giving us a pristine map of how HCM was affecting our family. But while both my parents carried the gene for HCM, only my father’s heart showed evidence of the disease. Naturally, we were filled with questions. How had he lived so many years without knowing his heart condition? What did this mean for the future? Was he also in danger of a sudden cardiac arrest? Thanks to advances in research we can now try to predict the trajectory for many people with HCM. For me, it meant knowing around what age I’d be when I’d go into heart failure and require a transplant (spoiler alert: I eventually did have a heart transplant and three years later I’m still here!). It meant having the awareness to test our extended family members for the disease. It also meant taking the responsibility of spreading awareness: that heart disease can happen to anyone at any age, of any race, of any gender, and for various reasons. The importance of heart health lies in more than just prevention: it is also important to know your family history and to encourage friends and loved ones to get basic testing, in addition to living an active and heart-healthy lifestyle. As a patient advocate and a survivor of multiple heart conditions, I am so excited about the work Project Baseline and the American Heart Association are venturing into with Research Goes Red. Because heart disease can happen to anyone, but disproportionately affects women, people of color, and young athletes1, the research community needs to start finding more equitable solutions for all of those affected. Research has saved my life and my loved ones’ lives more times than I can count. I am happy to keep adding to my consent form collection. 1. “Heart Disease Facts,” Close the Gap.